We share insider tips and cool ideas to help you enjoy everything the city has to offer, from great events to restaurants, shopping and more. We invite you to explore, and if you have any questions feel free to contact us! 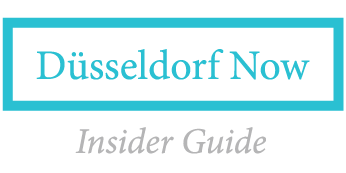 Düsseldorf Now Insider Guide – our new German-English pocket guide features nearly 60 partner locations in Düsseldorf, including authentic shops, restaurants, cafés, bars and experiences. From handcrafted goods and unique experiences to delicious food and drinks – you’ll find something to love inside the guide. It’s your essential reference to insider spots throughout the city, printed responsibly on eco-friendly FSC Mix paper at Druckstudio Gruppe in Düsseldorf, an excellent local printer that operates on 100% green energy.